Sports massage therapy is geared toward athletes of every kind, from world-class professionals to weekend warriors. Sports massage technique is specific to the athlete's sport of choice. This modality focuses on areas of the body that are overused and stressed from repetitive and often aggressive movements. Sports massage therapy is gaining popularity as useful components in a balanced training program. Sports massage therapy can be used as a means to enhance pre-event preparation and reduce recovery time for maximum performance during training or after an event. Sports massage promotes flexibility, reduces fatigue, improves endurance, helps prevent injuries and prepares your body and mind for optimal performance. For anyone participating in regular physical activity, Sports massage therapy every week or two may be a great addition to your normal training program. If you are considering sports massage therapy, talk with one of our health care professionals to find a plan that will work best with your schedule and level of activity. A growing body of research confirms the efficacy of massage for a variety of illnesses and ailments. Massage has been shown to reduce blood pressure and heart rate; increase cytotoxic capacity (activity level of the body's natural "killer cells"); increase lymph flow and reduce edema; relieve and reduce certain types of back pain; and, reduce anxiety and relieve stress. Our recommendation is to talk with an Agape Wellness Center health care professional to see if a deep tissue massage therapy would be the best option for you. A trigger point, also known as trigger sites or muscle knots are tight area within a band of muscle tissue that causes pain in other parts of the body. A trigger point frequently radiates pain from these points of local tenderness to broader areas. A trigger point in the back, for example, may produce referral pain in the neck. The neck, now acting as a satellite trigger point, can then cause pain in the head. The pain may be described as sharp and intense or as a dull ache. Compression of a trigger point may elicit local tenderness, referred pain or local twitch response, not to be confused with a muscle spasm. This is because a muscle spasm refers to the entire muscle contracting whereas the local twitch response also refers to the entire muscle but only involves a small twitch, no contraction. Swedish massage therapy is the most common type of massage modality. It is the massage type that comes to mind when most people consider getting a massage. 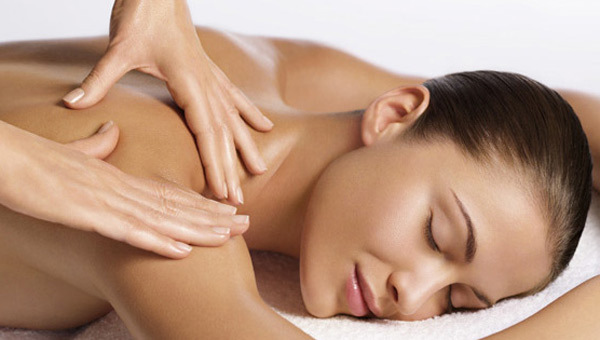 As the most popular type of bodywork performed the primary goal of the Swedish massage is to relax the entire body. This is accomplished by manually kneading the muscles with long gliding strokes in the direction of blood returning to the heart. However this massage therapy goes beyond relaxation. Swedish massage is exceptionally beneficial for increasing the level of oxygen in the blood, decreasing muscle toxins, improving circulation and flexibility while easing tension. The 1984 Summer Olympics in Los Angeles was the first time that massage therapy was televised as it was being performed on the athletes. And then, during the1996 Summer Olympics in Atlanta massage therapy was finally offered as a core medical service to the US Olympic Team. Massage has been employed by businesses and organizations such as the U.S. Department of Justice, Boeing and Reebok. Notable athletes such as Michael Jordan and LeBron James have personal massage therapists that at times even travel with them. Foot Reflexology massage can be a deeply relaxing and therapeutic modality for those suffering from foot issues such as plantar fasciitis, ankle injuries or even everyday work and play. At The Agape Wellness Center, your therapist will apply traditional Swedish and sports massage techniques to the foot, calf and upper leg. This will not only help relieve toe pain, ankle pain, plantar fasciitis and pain from common forms of arthritis, but can also decrease overall stress and anxiety. With the reflexology technique a variety of stretches can be beneficial. With pain and sensitivity in the foot, heel and calf areas, be sure to communicate your pain levels with your therapist during your treatment. If your experience with foot Reflexology is positive, you should know that the benefits are compounded when utilized as a frequent and regular therapy. The more you go, the better you feel. So you can relax, rejuvenate, and continue to grow healthier every treatment.